Gorgeous Scandinavian style blankets and throws hand woven from approximately 50 recycled plastic bottles. Perfect for indoor and outdoor use, these soft, cosy blankets aren’t just great sofa throws but can also be used as waterproof picnic or beach blankets. Best of all, they’re stain resistant and easy to clean and a great choice for those with children, pets or a habit of spilling red wine. A beautiful collection of hand-woven indoor and outdoor rugs made from yarn spun entirely from recycled plastic bottles. This range of environmentally friendly rugs looks and feels like wool, but contains between 50 and 750 recycled bottles each, making them waterproof, mould resistant, easy to clean and hard wearing. 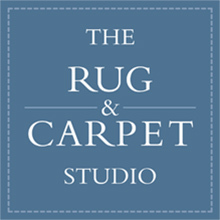 The rugs are available in a variety of designs, sizes and colourways. An exclusive range of wool and silk embroidered scarves. Our beautiful Pashminas are made by deaf and blind artisans in Nepal. ‘Yes Helping Hands’ (YHH) is an organisation in Nepal offering free training opportunities in handloom weaving for blind and deaf people. The artisans are employed by YHH allowing them to earn an income and improve their overall standard of living. The hand-woven kelim is not simply a floor covering but is used to make beautiful and unique home furnishings. Kelim furniture will dramatically transform the look of a room by adding a vibrant dash of colour with their natural bold shades and eye-catching designs. The Turkish kelims used are old and genuine and since every kelim is unique, the colouring and motifs will vary naturally between each piece of furniture. Our full kelim range includes foot and table stools, pouffes, ottomans, arm chairs and sofas. Bespoke kelim stools can also be made to order by selecting a kelim of your choice. Please contact us for full details on this bespoke service. Stylish and vibrant handbags and backpacks are made from recycled vintage Turkish kelim rugs. Brightly coloured with geometrical patterns, each bag with its individual colour composition and design makes a strong statement. Perfect for everyday use. A beautiful collection of table lamps & shades. Stylish designs and quality craftsmanship combine to produce timeless classics. Vist our showroom to see the full range. Our authentic cushion collection is sourced from all over the world. These hand-woven and hand-embroidered cushions are made using a colour palette of natural dyes, purest wools and silk yarns and will bring a touch of luxury, colour and pattern to your home. Our striking suzanis are pure silk designs embroidered by hand on a silk or cotton background. Suzani embroidery is a traditional craft, practised today in Uzbekistan (Central Asia) as it has been through the ages. In a bleak desert landscape courtyard gardens are particularly precious and this is depicted in the rich embellishment of suzanis with fruits and flowers, such as pomegranates and tulips. Suzani embroideries with their rich colours and intricate designs can be displayed as decorative wall hangings, as statement pieces, draped over sofas and used as bedspreads. An exquisite collection of traditional ceramics, handmade by Moroccan artisans utilising the techniques passed down from generation to generation. The colourful ceramic bowls are available in different sizes and colours. The luxurious, glossy glazed finish of the bowls is further enhanced by the hand-crafted silver edge. The large bowls are ideal as serving-dishes and make attractive fruit or salad bowls, whilst the smaller ones make stylish bowls for dips and can also be used for your jewellery or trinkets. Our hand-crafted thuya wood jewellery boxes, desk accessories and decorative boxes are both striking and distinct. Thuya is an aromatic, exotic wood harvested from a tree indigenous to Morocco. Grown exclusively in the Middle Atlas Mountains, thuya has been revered since Roman times both for its gorgeous, burled grain and splendid aroma. The manufacturing of these boxes is a long-held Moroccan tradition, showcasing both the natural beauty of the nation’s resources and the delicate skill of its artisans. These wood boxes make beautiful and unique gifts. Exclusive cushions and lamp shades made from ikat silk fabric sourced from Uzbekistan. The cushions and lamp shades have matching designs and are all unique. The term “ikat” refers to the dyeing technique used to create the designs on the fabric. Weaving is a complex technique, using a resist dye process whereby the warp yarns (vertical threads) are bound and dyed by hand as many times as is required to create the desired pattern. This dyeing process is different because the yarns are dyed before being woven into cloth. Once the yarns have been suitably dyed and dried, they are woven on the loom with the weft yarns (horizontal threads). The design takes form as the yarn is woven into cloth. Ikat patterns are versatile and can stand alone in a neutral-toned room, or you can pull colours from the ikat print into your décor.